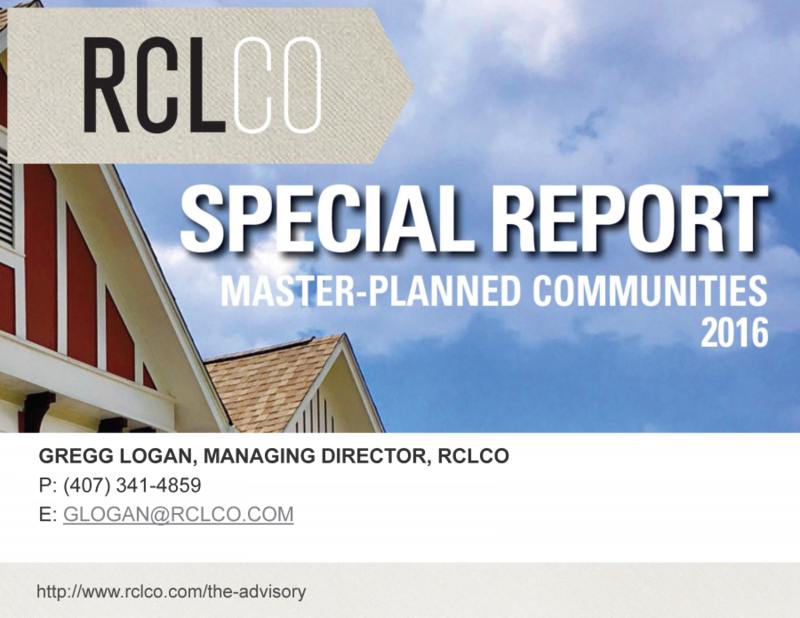 RCLCO recently checked in with the top-selling master-planned communities (MPCs) in 2012, to better understand what they’re doing to realize that level of sales as well as their outlook for 2013. 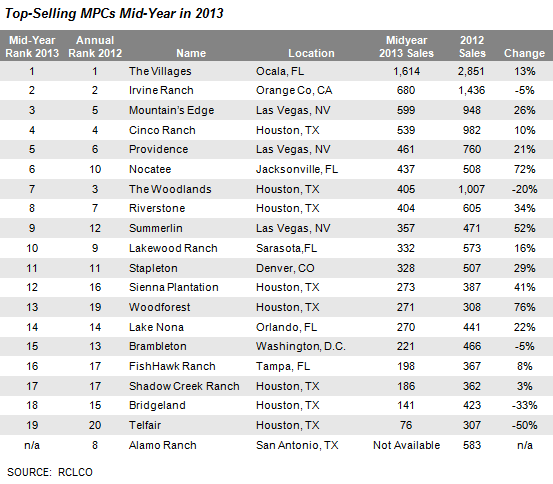 Earlier this year we reported that 2012 home sales at top MPCs were the strongest since 2007. In fact, sales in the top 20 communities were over 37% higher than in 2011, due in part to strong gains in communities located in states hit hard by the housing bust—including Nevada, Florida, and California—as well as continued strength in Texas. 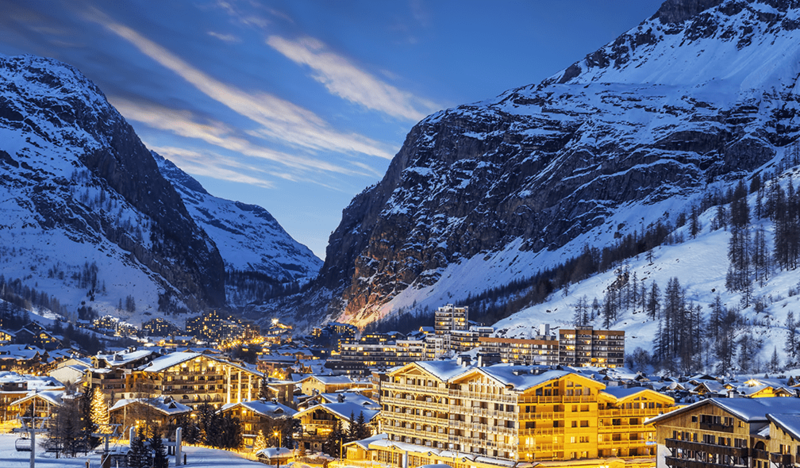 Deepening buyer pools with stronger credit and heightened consumer confidence—trends that began to present themselves in the latter part of 2011—greatly enhanced sales in 2012 and continue to increase the sales performance at top MPCs in 2013. 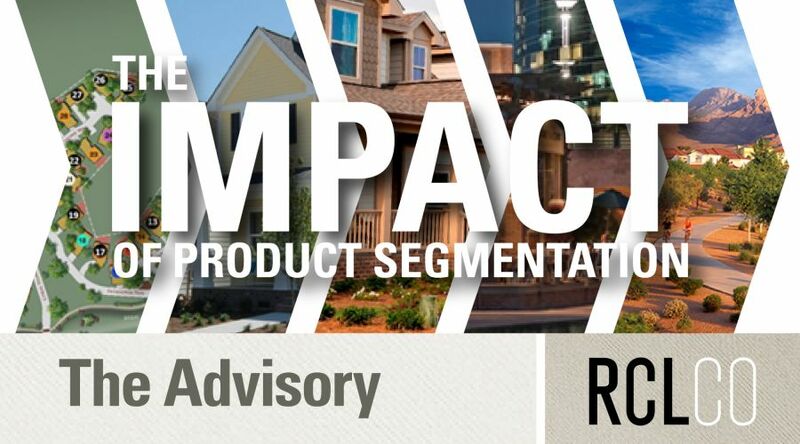 In this Advisory, we further explore the critical success factors and strategies top MPCs are using to capitalize on improving demand fundamentals, including product segmentation and innovation, key community investments, and marketing tactics. 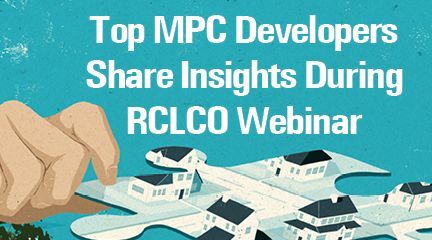 In addition, we highlight the challenges MPCs face relative to capitalizing on strong demand and the impacts on developer-builder relationships. The most successful MPCs are demonstrating to the expanding pool of buyers that they are special places in their respective markets, clearly differentiated from standard subdivisions in their attention to detail, higher-quality built environment, and superior lifestyle offering. Of course the improving economy is a significant factor as well. 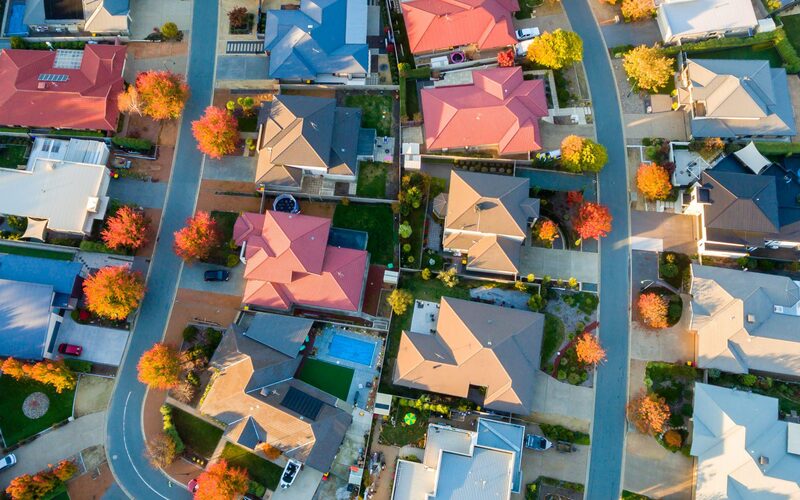 Our interviews with MPC developers across the country reveal that consumer sentiment among homebuyers is improving, driven by strong economic gains and rising home prices. In some markets, strong job growth is boosting confidence and drawing buyers from the sidelines, while in others, rising prices are signaling to buyers that the bottom is indeed behind them and it’s safe, particularly with low interest rates, to purchase a home. Although still hampered by strict underwriting standards, first-time buyers are back as well, as rents in some markets reach levels where ownership is much more compelling. In this environment of improving consumer confidence, many MPCs credit their enhanced sales in 2012 and early 2013 to their reputation as the best place to invest given the variable quality and level of remaining distress in some locations as well as the value-sustaining ability unique to MPCs. In addition to offering the best locations and schools, traits typical of the top MPCs, they are differentiating from the competition by refining product segmentation and innovation, enhancing community execution and investment, and emphasizing soft programming and alternative marketing techniques. Sophisticated product segmentation remains one of the most effective strategies employed by MPCs to broaden their appeal and boost sales. 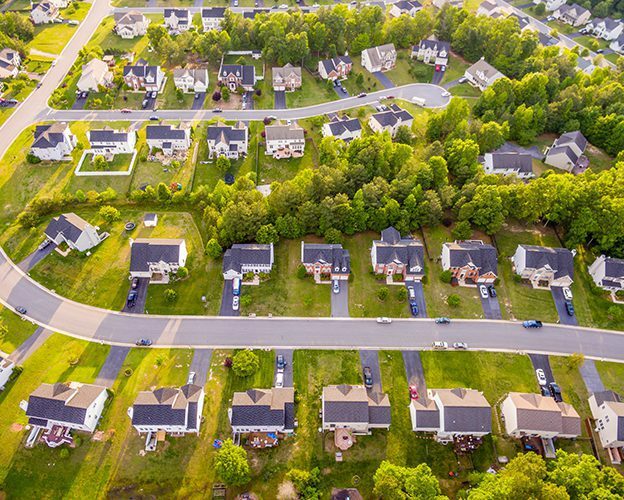 In the past, neighborhoods were typically segmented based on home price and lot size and, to a lesser extent, by buyer segment and orientation. 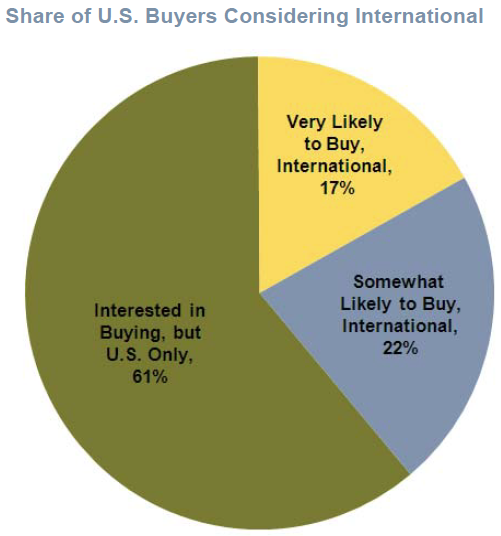 A growing trend in MPCs is to offer a wider product array catering to niche buyers, including product characteristics in some floor plans that are particularly desired by specific age and ethnic groups. 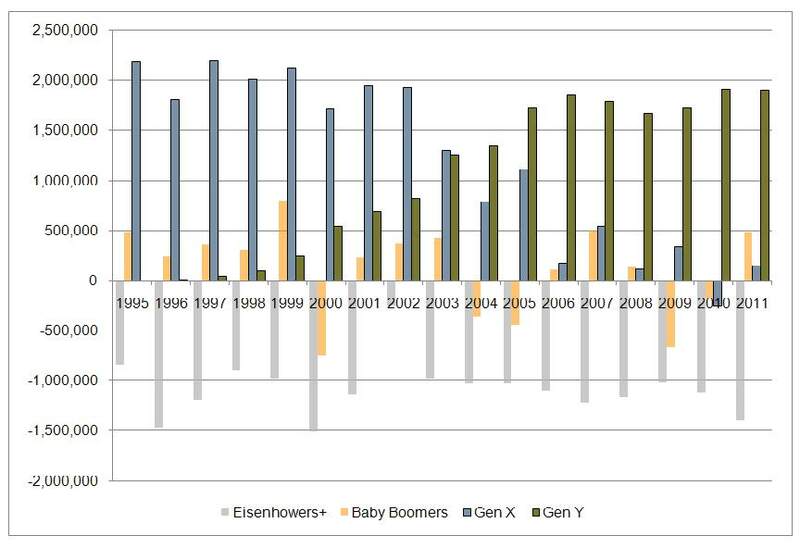 Developers and builders in top communities recognized in 2009, 2010, and 2011 that to compete with the overhang of “recently new homes” and distressed resales, their product not only needed to be competitively priced, it really needed to be a new product altogether. For •À_example, Focus Properties in Las Vegas notes that builders at their Providence Mountain’s Edge communities are offering features unavailable in the resale market. Product in these communities as well as other MPCs across the country is not just new in terms of being built most recently, but truly better, with floor plans that better address how people want to live, including better lifestyle-targeted design, technology, architecture, energy efficiency, outdoor spaces, and landscaping. The top communities constantly study their market and their consumers to keep their offerings fresh and competitive. 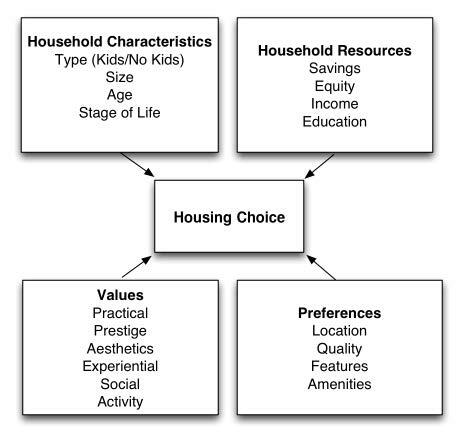 Another example of better market segmentation is the much more deliberate effort developers are making to attract empty-nester households seeking to move down, within their community or from a neighboring community, to new housing better suited to their life stage and in close proximity to their friends and family. Cross Creek Ranch and Aliana in Houston are two good examples of this; they are seeing significant sales to empty nesters who might otherwise stay in their existing community nearby, but cannot find the product that suits their new life stage. These new home communities are responding to the void with homes on smaller, lower-maintenance lots that emphasize quality of finish and design over square footage. These homes are attracting empty nesters as well as young couples. 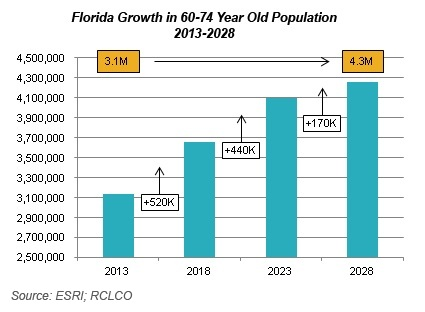 In addition to attracting the empty-nester buyer seeking a more luxurious lifestyle offering, other developments such as Lakewood Ranch in Sarasota, Florida, are developing age-targeted bundled golf products as well as age-restricted active adult communities (AACs) within the larger, multigenerational MPC. These communities target the buyer that is seeking the full AAC experience, complete with separate amenities center, programming, and age restriction, but like being connected with the larger multigenerational community. 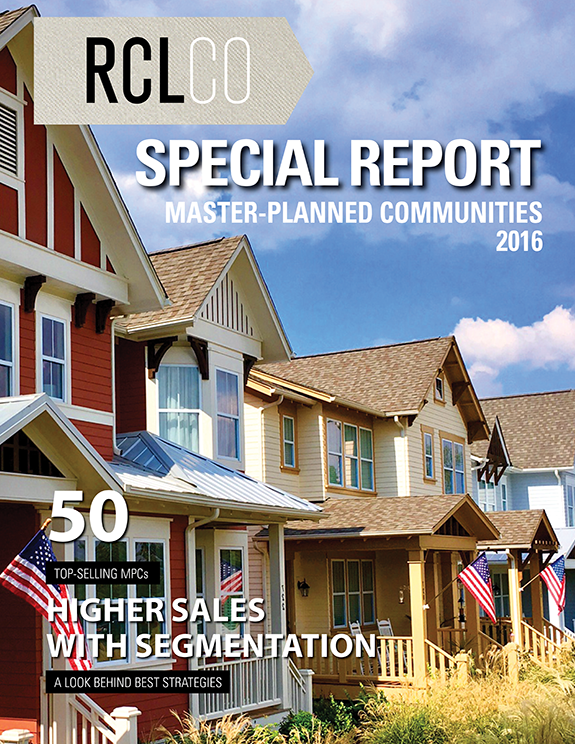 Other MPCs are finding success by offering products and neighborhoods that appeal to different lifestyles. At Bridgeland in Houston, the Howard Hughes Corporation has been successfully working with builders to develop a neighborhood that emphasizes many of the elements of traditional neighborhood design, with alley-loaded garages, front porches, and an emphasis on Craftsman architecture and shared open spaces rather than large private backyards. 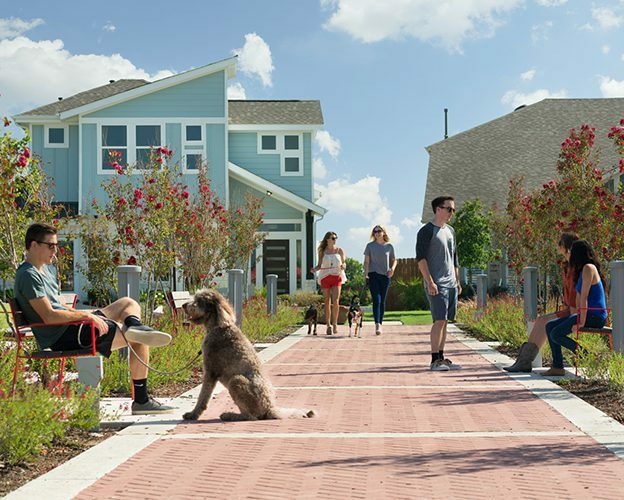 Although originally designed to attract primarily empty nesters, the product has also appealed to singles, young couples, and families seeking a simpler homeownership experience, walkability to schools and neighborhood retail, and an attractive architectural style not typically found in the Houston suburbs. Not only is the product selling well, it is achieving a 10-20% premium (on a price per square foot basis) over comparably sized products elsewhere in the community. This distinctive neighborhood provides further diversification to the community and penetrates market segments Bridgeland may not have captured otherwise. 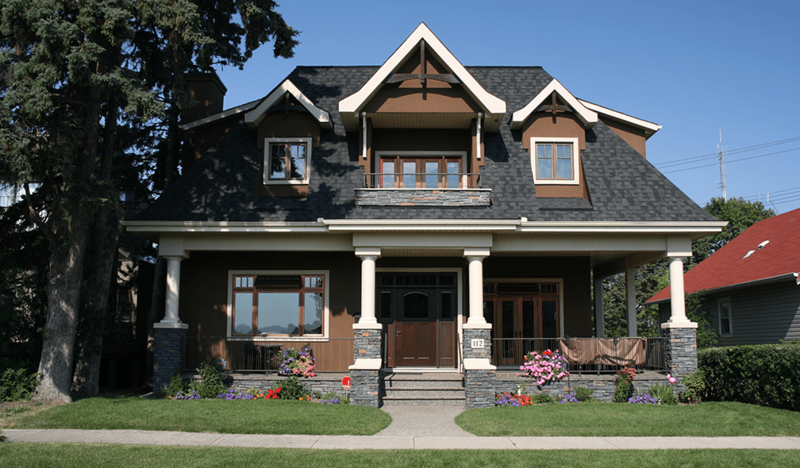 It also makes Bridgeland a more interesting place to live than more conventional communities. This is also allowing Bridgeland to experiment with density, which is something most of the top MPCs are wrestling with as they eye the future of the MPC and the direction of the market, pricing, etc. The reemergence of first-time buyers is another factor driving additional sales in a number of communities. As rents have increased in many markets, buying a home has become increasingly competitive with renting, and MPCs are attracting first-time buyers by offering entry-level products such as twin villas at Cinco Ranch, stacked flats, and row townhomes and triplexes at Irvine. 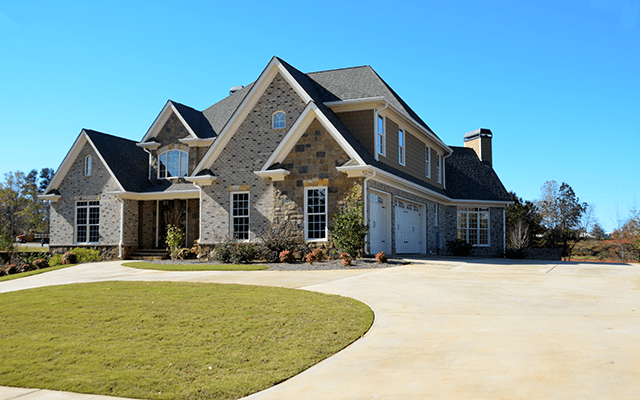 Typically, these products are priced at a discount to the entry-level detached single-family products and have a generally convenient location within the community. Although much emphasis has been placed on product quality and innovation over the past few years, “community innovation” is equally if not more important. Successful MPCs are expending considerable effort to differentiate in terms of overall community execution and design from both smaller subdivisions and other MPCs,. 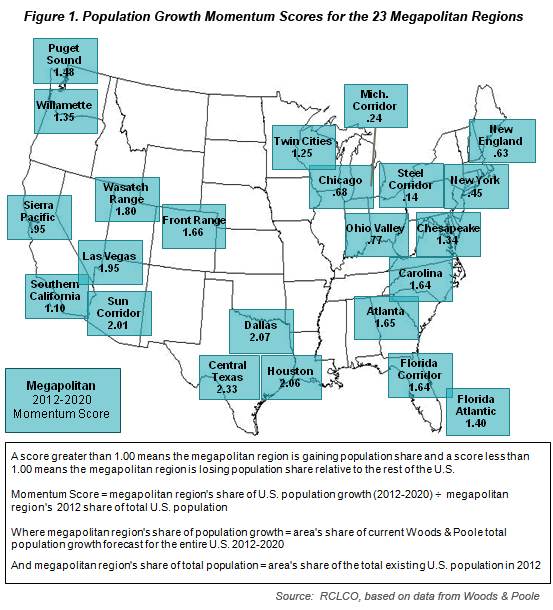 Some communities decreased investment during the downturn, but the top MPCs maintained or even stepped up investments to maximize market share in advance of the economic upturn. For example, Nocatee in Jacksonville, Florida, has spent over $200 million in new infrastructure since 2008, including a new $20 million water park, to demonstrate its commitment to enhancing the lifestyle and the experience at Nocatee. Rick Ray, managing partner at The PARC Group, Nocatee’s master developer, said “The same houses are available everywhere, so it’s important to keep coming up with new things to make people want to be in this particular community.” Similarly, Lakewood Ranch, located in Sarasota, Florida, has invested substantially since 2009, including an athletic complex comprised of 22 recreational fields capable of hosting large soccer, football, and lacrosse tournaments, drawing thousands of visitors to the community annually. Providence and Mountain’s Edge, in Las Vegas, were among the very few communities that remained active during the severe Las Vegas downturn, continuing to invest in infrastructure and amenities to maintain market interest and preserve their brand as a safe investment. As a result they stayed in the Top 10 through the downturn. In terms of execution, many communities are emphasizing open space in a more meaningful way by not just offering it, but showcasing it through community design. Brambleton, located in Northern Virginia, changed its master plan in 2012 and converted the planned golf course into open space and trails based on community feedback and 10 community visioning meetings held throughout the year. In designing this open space, Brambleton is electing to single-load streets so the open space is visible to prospects and residents as a view amenity and is more accessible to residents than if it were hidden behind homes. Bridgeland in Houston has been doing this as well, and it is differentiating them from many of their competitors. 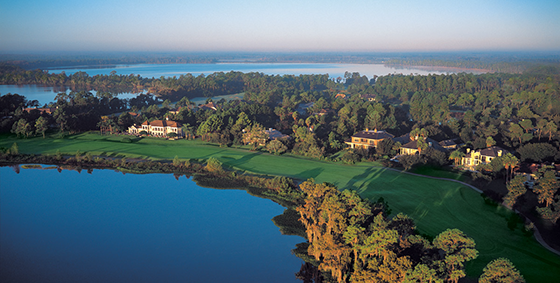 Nocatee, in Jacksonville, is similarly evaluating the future of two planned golf courses as they’ve discovered that many buyers like living on a golf course, but few were actually playing golf, and non-golfers are happy with the tremendous amount of open space in the development. (Nocatee is nearly 14,000 acres, with two-thirds designated as open space.) In addition to emphasizing the open space, communities are designing trail systems to be much more organic, with soft and hardscape trails routed through true natural areas as opposed to more engineered environments such as detention ponds, “fence canyons,” and other gratuitous and inauthentic open spaces. Beyond the natural environment, communities are also focusing on the built environment to enhance the aesthetics of the community. Brambleton, for example, is focusing on “high impact lots,” which include corner lots and lots that face main thoroughfares, requiring builders to build those homes with a higher level of architectural detail to improve the overall community look and feel and create a bigger impression on buyers. 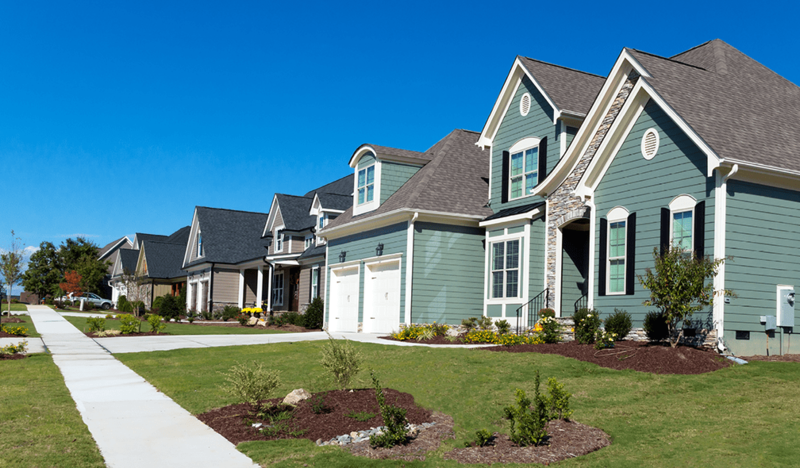 Communities are also placing considerable emphasis on keeping the model home parks fresh. 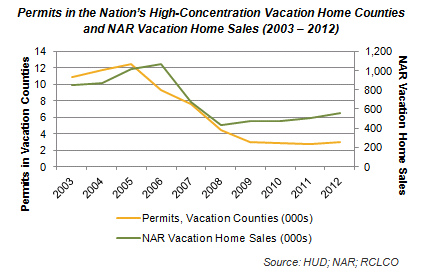 Lakewood Ranch, for example, continually turns over the model homes, keeping a single model no longer than two years. Marketing and branding are critical to the long-term success of MPCs. 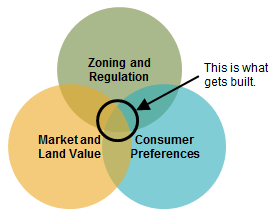 The MPC value proposition is based on it being a superior community, and for developers to compete with builder subdivisions these communities must be able to generate lot and home premiums and gain market share. Establishing a prestigious community and developer brand is an important aspect of commanding such premiums and increasing market share. 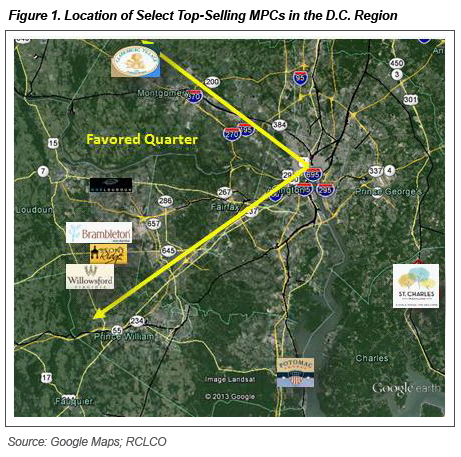 As Ted Nelson, Newland Communities’ Central Region President, said, “Building a brand and credibility in the region is the only way to sustain strong sales during all phases of the cycle.” This perspective is universally shared by the top MPCs and is practiced in a variety of ways across the country. 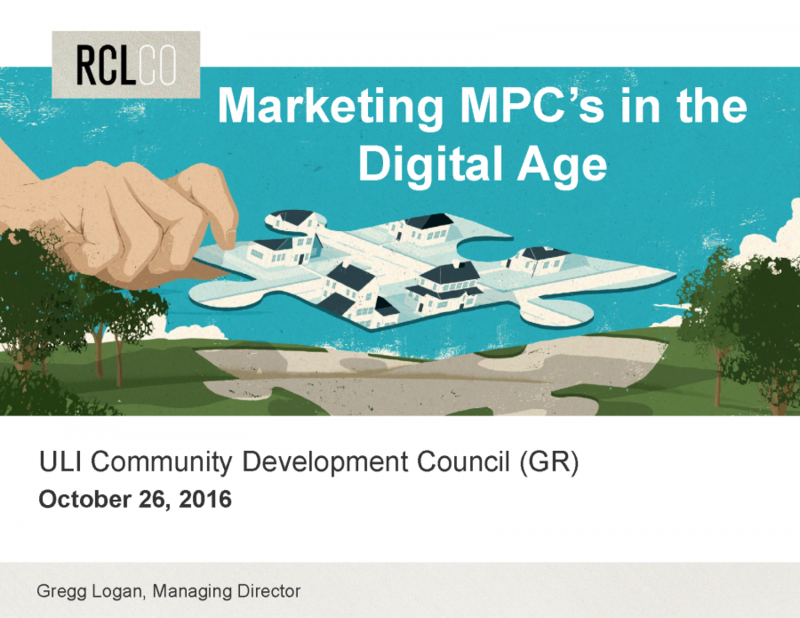 Most top MPCs have recognized that their residents are their best marketers. An emphasis on engaging residents has enabled some communities to generate buzz without employing traditional media-based market•À_ing campaigns. Full-time lifestyle directors (or Directors of Fun as they’re called at Nocatee) are increasingly common. They serve to organize activities and events designed not only for families and children, but also for adults who may not otherwise have a medium through which to meet people beyond their immediate neighbors in an adult setting. For example, wine socials, cigar and poker nights, happy hours, silent auctions, and other events at Aliana, a relatively new MPC in Houston, have helped attract residents and prospects and facilitated the rapid growth of resident-organized events and activities. At Nocatee, there is an emphasis on creating an event for every market niche. Although Nocatee hosts many events that have a regional draw, such as a large farmers market that attracts over 80 vendors, the community tries to balance them with residents-only events, making them something special that makes it worth living in the community. In terms of direct marketing, communities continue to favor social media over most means of media advertising. Nocatee stepped up its social media presence to its highest level in 2012 by hiring in-house, young, talented people to establish and maintain a presence on every platform. Their goal is to get people to come to the community and participate in events, connect with the community, and experience the lifestyle. 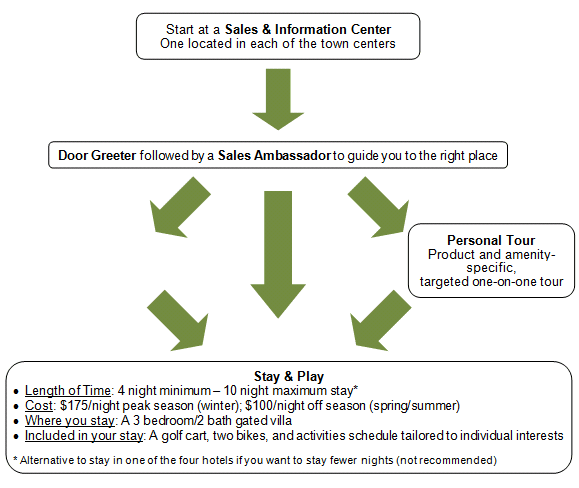 Hosting and marketing regional-drawing events, a practice used by most of the top MPCs, allows communities to create a “bench” of future buyers, even though some may not purchase for a number of years. Once these consumers are ready to consider a purchase, they are much more informed about the community and more inclined to buy. Assisting this education process are more targeted on-line communications with those who have expressed interest, with communities such as Irvine in California customizing their communication with prospects to include only products and price points in which they have expressed interest. In terms of other forms of media, Lakewood Ranch, which draws buyers from the Midwest and Northeast, reaches prospective buyers in those markets through a partnership with the Tampa Bay Lightning NHL team. Lakewood Ranch has boards in the ice rink which are broadcast on televised games to prospects in those key source markets that they wouldn’t otherwise reach through local marketing and events planning. Bridgeland is benefitting from a co-branded marketing strategy with The Woodlands, both of which are owned by the Howard Hughes Corporation, and is effectively leveraging The Woodlands brand to demonstrate Bridgeland’s commitment to quality. 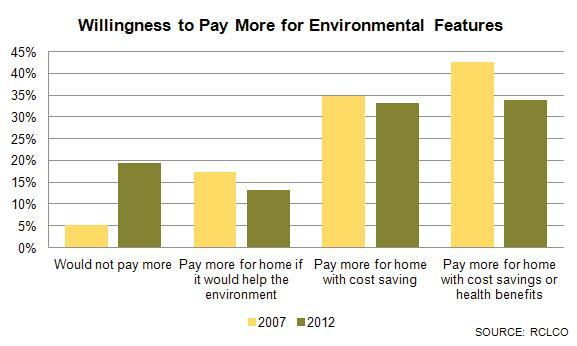 Builders, too, have adapted to how the consumer shops for homes. Many model homes display QR (quick response) codes at the front of the model homes to allow buyers to obtain up-to-date information on the variety of floor plans, price points, etc., without having to go into the model center. This allows busy professionals, who may not have the opportunity to visit the model center during the day, to capture the information they need to inform a future, more extensive visit to the community. 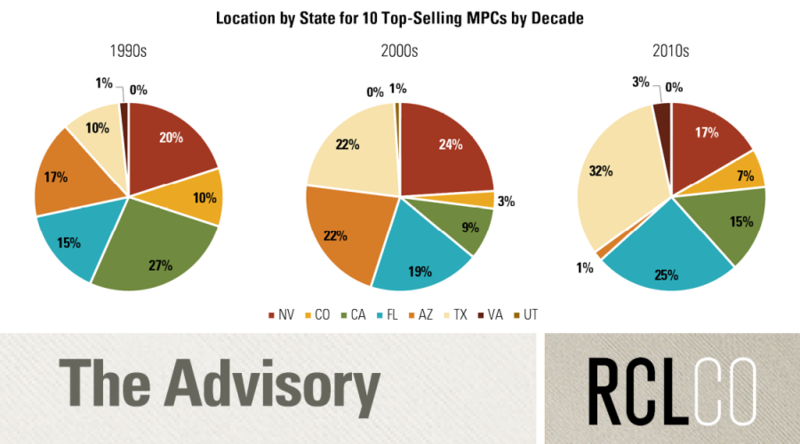 Demand fundamentals have improved so rapidly in regions where many of the top MPCs are located that the perceived oversupply of inventory observed during the downturn has quickly dissipated over a relatively short period of time. As a result, MPCs are increasingly under pressure to deliver lots to builders, and in instances where lot deliveries are not keeping pace with demand, builders are either buying lots in less desirable sub-markets or are buying land and self-developing lots. Although the surge in demand certainly contributed to the lack of inventory, the shortage has been further fueled by the build-out of long-standing MPCs in some markets and/or the inability of new communities to launch given capital constraints, entitlement challenges, legal issues, high up-front costs, and other challenges. 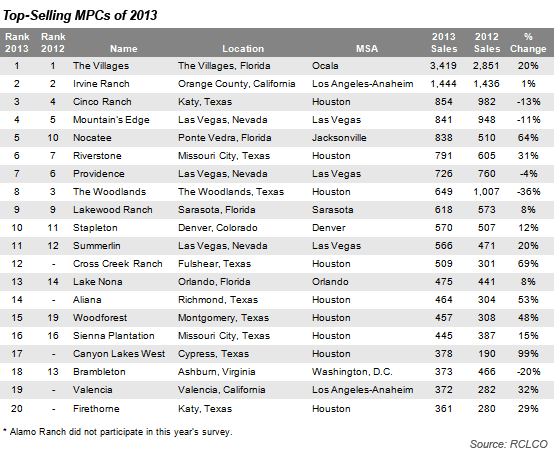 Seven of the top 10 performing MPCs in Houston, many of which have been featured in RCLCO’s Top Master-Planned Communities surveys over the past 10-20 years, are approaching build-out in the next two years or less. These include The Woodlands, Cinco Ranch, Sienna Plantation, Telfair, and Shadow Creek Ranch. 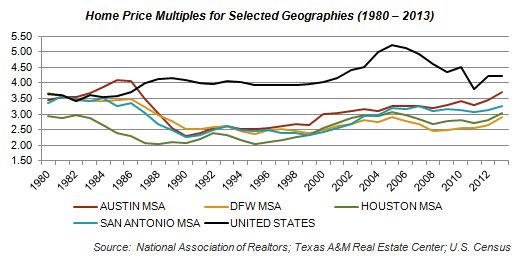 The Woodlands and Cinco Ranch had virtually no sales increases in 2012, primarily because they had less product diversification than in previous years as they approach build-out. This reduced sales volume in lower price points while increasing sales (and market share) in largely upper price points. This is partly due to a strategy of maximizing value rather than volume. In the past, many of these mature communities traditionally negotiated lot takedowns with builders, but are now in a position to bid out lots to builders, resulting in record lot prices. 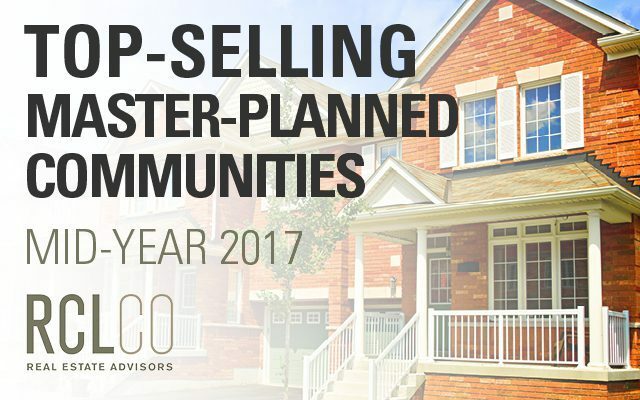 Compounding the effect of the build-out of mature communities is the limited number of active and planned MPCs that are expected to replace the top sellers. The replacement communities that are already in existence are benefitting substantially. These include Bridgeland (up 27% over 2011), Riverstone (up 100% over 2011), Cross Creek Ranch, and Aliana (both achieving over 300 sales in 2012 and on pace to exceed 400 in 2013). However, the number of replacement MPCs is not expected to maintain the level the market has traditionally enjoyed, driving public builders to take significant positions in land to keep up with demand. 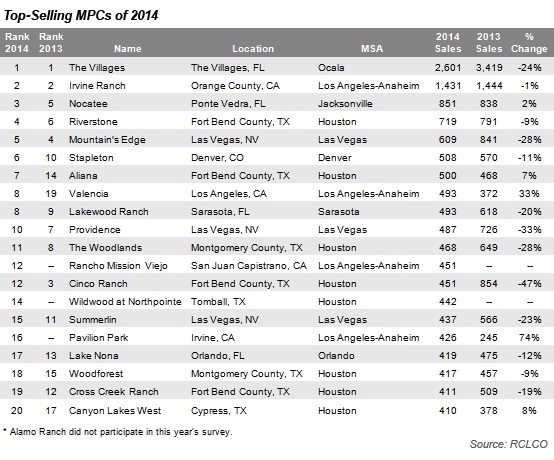 The fact that MPCs in Houston are currently capturing over 30% of the market, but only possess 20% of the lot inventory, is clearly indicative of an insufficient supply of lots in MPCs and an opportunity to bring more to market. Meanwhile, nearly 80% of large land transactions (over 300 acres) in the past 12 months in Houston were to public homebuilders rather than to MPC developers. Las Vegas is experiencing a similar pattern, with builders bidding against one another on raw land deals, albeit smaller ones in the 30-40 acre range. Builders are often paying cash with 30-day closings, in some cases with incomplete zoning in place. There is substantial pressure on public builders to acquire or develop lots, and although sales are up, profits are increasingly squeezed by rising materials and subcontractor costs. Elsewhere, most top MPCs report that their sales in 2012 would have been even stronger had they been more aggressive and delivered more lots to builders. 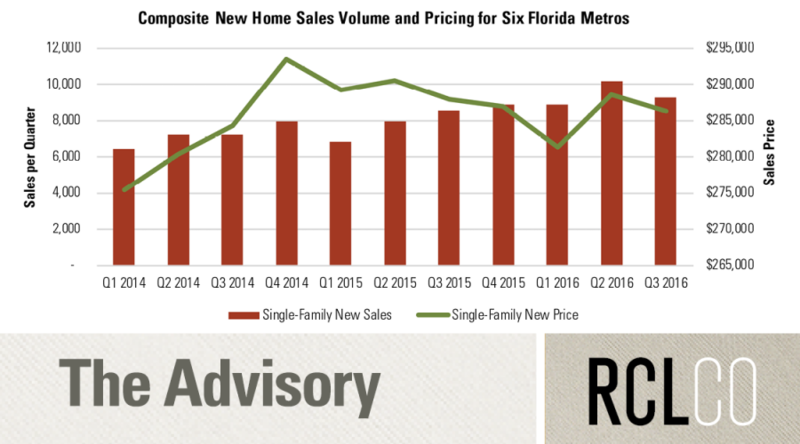 Irvine, Lakewood Ranch, Mountain’s Edge, and Providence all report that they typically only sell finished lots to builders (or build themselves in the case of Irvine), but have not been able to keep up with demand. At Brambleton, they believe there is sufficient builder demand to sell all of their lots today. Nonetheless, they are controlling inventory in order to maintain consistent development quality. Overall, builders are getting much more aggressive with lot positions in MPCs and in some cases are purchasing raw land or “superpads” within an MPC to provide the developer with a near-term cash injection as well as to secure themselves a long-term position in the community. For example, Taylor Morrison purchased several hundred acres inside Johnson Development’s Riverstone MPC, a transaction the developer was comfortable doing because of the predictability of Taylor Morrison’s quality in the marketplace that was consistent with the vision for Riverstone. Going forward, the ability of the developer community to launch sufficient new communities to meet consumer demand is challenged by community development economics. While entitlement, legal, environmental, and other issues are very market-specific, development financing is still a universal challenge, though the market is attracting more private equity than in the past as investors look beyond rental apartment development. Public financing tools (see the April 26, 2013, RCLCO Advisory regarding public financing mechanisms in Florida and Texas) continue to be very important mechanisms to pay for the huge upfront infrastructure costs required in MPCs. Meanwhile, public builders are enjoying high stock prices, have access to inexpensive debt, and currently are in a better position than many developers to get projects off the ground. 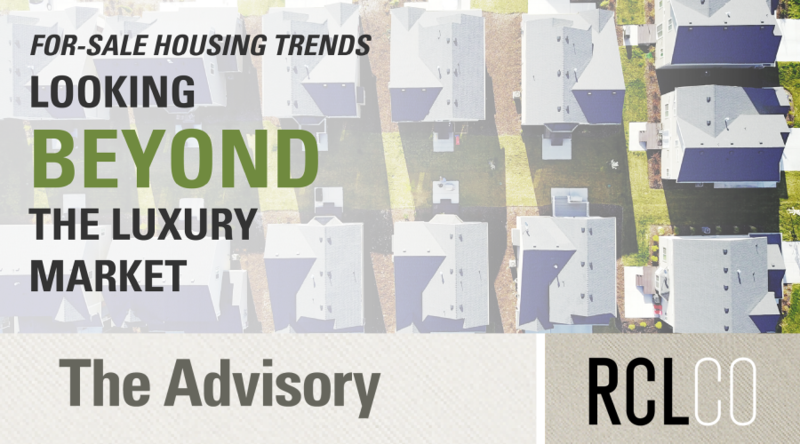 Though many consumers are responding favorably to the builder communities, the performance of the top MPCs points to strong demand for “value added” communities from a large segment of the market. How well that demand is met in the future will be addressed in future RCLCO Advisories. 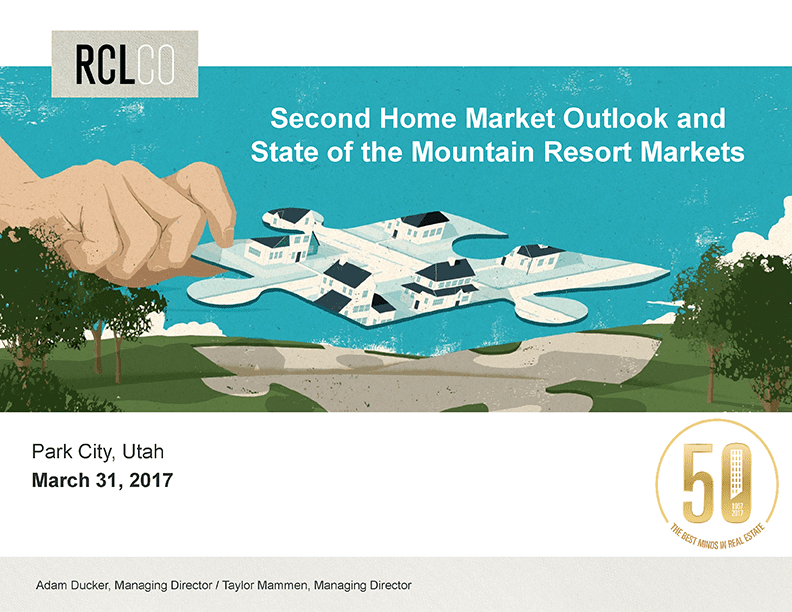 Article and Research prepared by Todd LaRue, Principal; Gregg Logan, Managing Director; Melina Duggal, Senior Principal; Taylor Mammen, Principal; and Pamela Cantrell, Vice President of RCLCO’s Community and Resort Advisory Group. Interested in learning more about RCLCO’s Community and Resort Advisory Services, please visit the Community and Resort page.